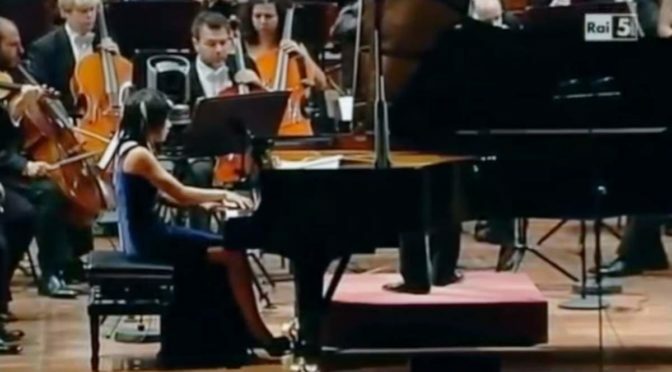 Accompanied by the Orchestra of the Academy of Santa Cecilia, Rome; Chinese classical pianist Yuja Wang performs Béla Bartók’s Piano Concerto No. 2 in G major, Sz. 95, BB 101. Conductor: Antonio Pappano. 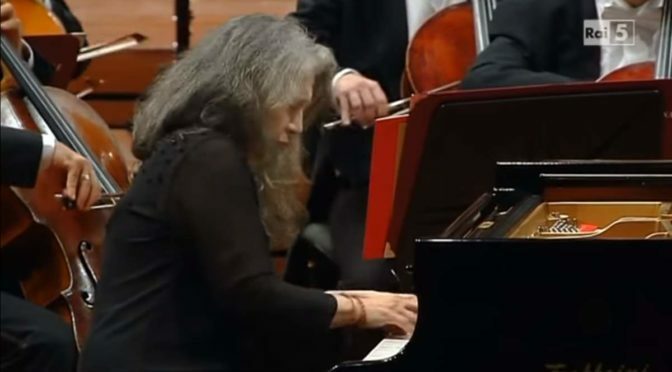 Accompanied by the Orchestra dell’Accademia Nazionale di Santa Cecilia, Argentine pianist Martha Argerich performs Robert Schumann’s Piano Concerto in A minor, Op. 54, a romantic concerto completed in 1845. Conductor: Antonio Pappano. Recorded live in Rome on November 19, 2012.